We have the "The Horse Whisperer" and "The Dog Whisperer," but does it work the other way around? If so, then this black cat is bringing its owner good luck as "The Baby Whisperer." Watch how the feline calms a fussy baby down to a near cat-atonic state with a simple touch of its paw. 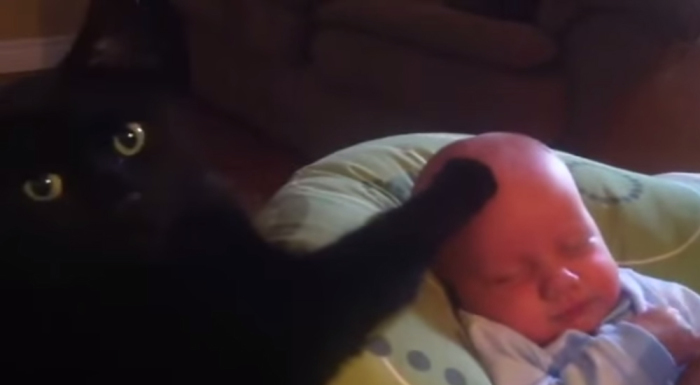 This baby whisperer has certainly earned its catnip.